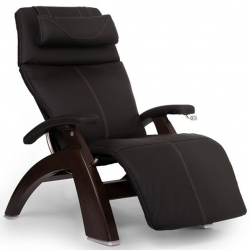 The Perfect Chair PC-610 Zero-Gravity Power Recliner is one of the most luxurious looking recliners on the market no doubt, with its SofHyde exterior, and overall design. 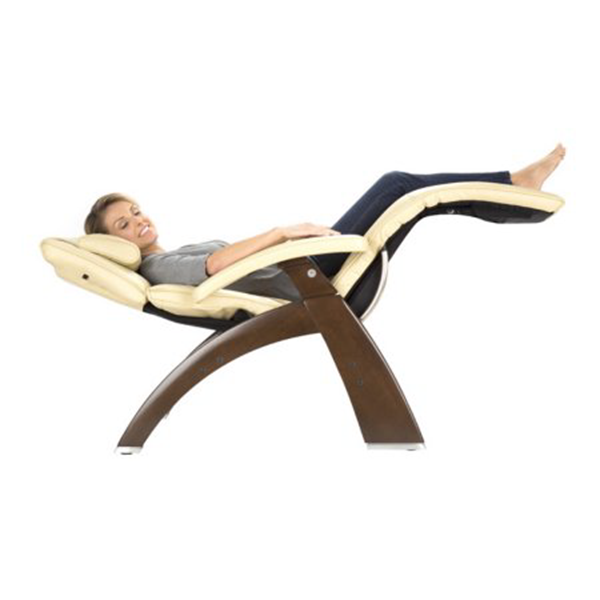 It looks great that's for sure, but what we want to know here is whether or not this chair actually offers a comfortable recline and Zero Gravity experience and whether its features meet the standards of other similarly priced mid range luxury recliners. So in this review we'll be looking at a variety of details regarding the PC 610. Firstly, we'll look at the main features, product specs, and pros and cons, and then we'll go into more details about this chair – for example discussing any potential problems that people have found with this model, post purchase. Are There Any Problems With The PC-610 Model? Zero Gravity is a feature which you'll find in any expensive (and decent quality) power recliner or massage chair these days, as it's a feature which helps to provide a bunch of different health benefits including; improving blood flow, decreasing pressure on the spine, expanding lung capacity, enhanced blood flow, relief of muscle pain and soreness, and improving blood oxygen levels in the body. (Please bare in mind these are the health related claims for Zero Gravity, but we here at Healthvibed.com have yet to confirm if there's any scientific validation behind these claims, or if they are just used for marketing hype). That being said, the position is at the very least, very comfortable and adds to the overall relaxation benefits that the chair can provide as a whole. Adding to this, the PC 610 has 2 motors creating the movement to and from Zero Gravity, and this means that its even more flexible and customizable than other single motor powered chairs/recliners. By using nickel plated glide rails, Human Touch have simply added yet another feature of quality and luxury to the overall package of the PC 610. This helps the chair to have an ultra smooth movement between upright, zero gravity, and its other positions. So it's not only important for the durability of this model, but provides even extra comfort as well. The “SofHyde” upholstery according to the manufacturer is made from top 5% premium leather, and it's for this reason that the chair is so comfortable. Not only does this make the chair super comfortable to sit or lie down in, but the high quality leather means that the chair is generally going to be more durable and last longer than the average leather upholstery. Adding again to the quality and overall aesthetics of the PC 610, the real hand carved wooden base stands out, and adds a real touch of authenticity to the design of this model. The wood is made with ethical practices, and creates a feeling that the chair has really been built by a “real human” instead of just mass produced as is so quite often the case when buying any kinds of furniture these days. The extra wide wooden hand crafted arm rests again add that special touch, and help the chair to support your arms whilst moving in and out of the Zero Gravity and other positions. 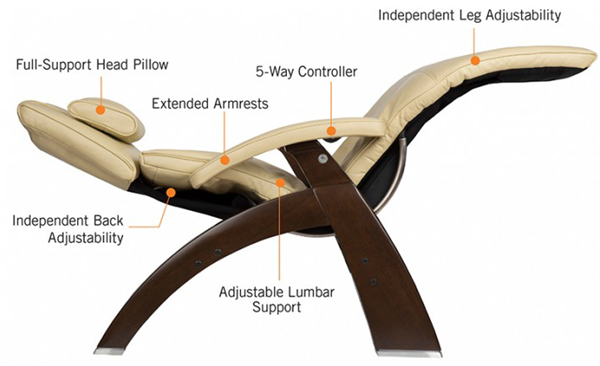 The five way “omni-control” helps this model to be the most adjustable of its kind amongst the other models of Perfect Chair, and offers multiple positions conveniently with a quick press and hold mechanism that exists for entering into zero-gravity mode. This feature is simply a safety precaution to make sure that you're not left in an uncomfortable position if for some reason you should lose power during a relaxing session in the chair. If the chair loses mains power, the backup battery safe mode will recover the chair to an upright position, so you're not left with the awkward task of trying to stand up when fully reclined, in an effort to fix the issues with your power. At the time of writing the PC 610 has 22 Amazon reviews with 73% of those reviewers having rated the product a great 5/5 star score. Interestingly with this product there are no ratings in the “middle ground” and people seemed to have either loved or hated this model from Human Touch. The remaining 27% of reviewers left the chair either 1/2 stars or 2/2 stars with a fairly large 23% of those negative reviews being in the 1/5 star category. So this may suggest that while the product pleases a large proportion of its buyers, there are some rather serious issues which are turning off a lot of people post purchase. Let's take a closer look into the feedback based on the reviews on Amazon.com to see exactly where people are at with this particular model. Reading through the reviews, it's quick to gather that people LOVE the look of this chair, and it really adds an air of luxury and relaxation to the room it's placed in. It's not really surprising, as Human Touch obviously made this one of the most important considerations when designing the PC 610. It had to look the part, as well as be comfortable. It seems that they've more than achieved this, and the feedback confirms it. One reviewer goes as far as to call the chair not just a piece of furniture, but a “sculpture”. We're not sure if that's a worthy appraisal, but I guess it really depends on your subjective like or dislike for the design. Of course, no product being perfect, there is some negative feedback on the PC 610. Whilst the majority of people who bought this model were happy with it, there were some people who found certain aspects of the design problematic for whatever reason. Let's take a look at some of that feedback here. Now, what we noticed about the negative feedback, interestingly, was that there was no common threads in terms of consistently perceived problem areas with this chair. For example one reviewer said that the chair was very uncomfortable, whilst a lot of the positive reviews went on and on about how great the chair was in terms of comfort. Another negative review mentioned that assembly was an issue, but again, this doesn't seem to be a common thread for this product in terms of the feedback. One other review seemed to have had a negative personal experience with the 610, and thought it was poorly manufactured as a result of that, but it seems from our research that many products that generally have overwhelmingly positive feedback will have a couple of reviews like this, where someone just happened to have a poor experience. This is not really a good overall reflection of the product though, as it's perfectly possible with any purchase to get a faulty version, and therefore think the product is inherently flawed in its design and build. Again, most of the reviews for this chair are very positive, so we have to keep that in mind when looking at any negative feedback. 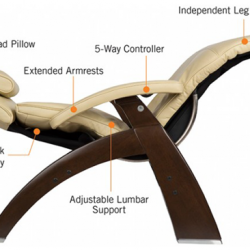 Like we just discussed in the above section discussing the negative reviews, the problems associated with this particular model of recliner seem to be from very subjective reviews, with 1 person out of all the reviewers for example saying that the assembly was a difficult and poorly thought out process. There was not a lot of commonality in the poor feedback. This brings us to the conclusion that so far, from our research, there are no obvious flaws that are agreed as being a problem by multiple customers post purchase. You can read above in the negative feedback section to see what the apparent issues are with the PC 610. Due to a couple of factors which we'll discuss here briefly, we recommend Amazon.com as the best place to purchase a high ticket item like the 610. The reason for this is that you want to ensure that you are dealing with a large and highly reputable online distributor or seller, the first reason for this being that you want to make sure you have excellent shopping cart and buyer security when making your purchase to protect your private information. The other reason is because if there's any problem during the process of buying the product, or post sales, then you want to be dealing with a highly reputable and capable support team. Amazon is able to provide you with assurance in both of these important areas of shopping online, and for that reason they remain our #1 choice. Is this chair easy to assemble? This model should take about 30 minutes to put together according to Human Touch. Is this also a massage chair? No, there are other models which massage from Human Touch, but the PC 610 is a “power recliner” and only offers zero gravity and recline options, without offering massage capabilities. If the chair's leather and/or padding gets damaged over time, is it possible to replace? What is the difference between the 600 and the 610? The 600 is very similar, just slightly smaller. So the 610 will accommodate for those with slightly larger frames. Is it possible to get this setup on delivery? It's possible but you'd have to be close to the Valencia store in California (within 30 miles). What's the maximum weight that this chair will cater for? 400 lbs or 181 KG. It has a full factory warranty of 3 years – 3 year in home with parts included. Is the leather good quality, or will it easily degrade over time? According to the seller, this leather which is premium top grain, will not succumb to the common issues that are found with cheaper leather and other materials used for these chairs. How is the top grain leather made, why is it better than other types of leather? The top grain leather is aniline dyed and made from the strongest and most flexible part of the hide. This leather provides a “soft to touch” feel, adding to the overall comfort that the chair can provide. Does this chair provide any heating function? Where are these chairs manufactured? Can you sleep in this chair? Yes, and according to user reports, many people use this chair to sleep in, its that comfortable. Are the arm rests fixed in place, or are they detachable? What about the floor to seat measurements? The seat sits about 19 inches or 48 centimetres from the floor. Conclusion – Is The PC-610 Worth Buying? If you want a chair that's going to provide an absolute luxury experience, possibly like no other product can, then the Human Touch PC 610 may just be a worthy investment for you. 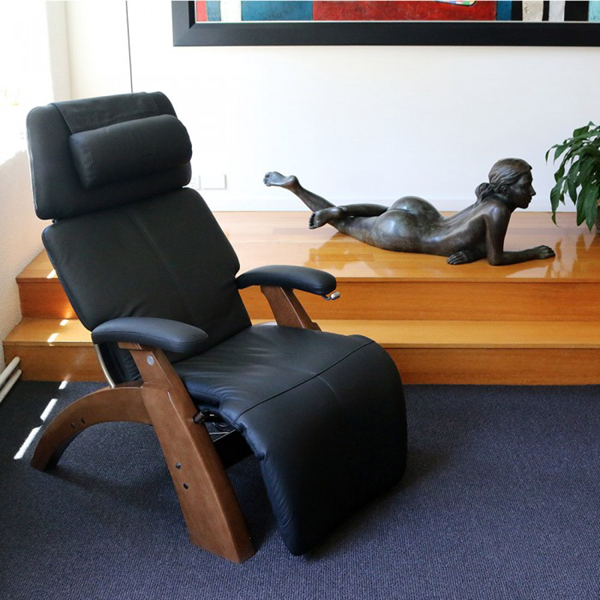 The dual powered Zero Gravity feature is among the chair's most specialised features, and reviewers have commented frequently how this feature alone helps them to feel a deeper level of relaxation than you might expect to be possible from a recliner. While this is “only” a recliner, and doesn't offer massage chair like features, it does seem to be one of the top products on the market within the auto recliner space, and its popularity affirms this. Probably one of the most appealing features of this chair is not only its functionality, but the look and feel of the chair itself, which has been a major focus in the design from Human Touch. They've really tried hard to focus on creating a luxury chair here, not only in features and functionality, but in the way it looks while it's sitting in your lounge, or office. It seems that they've done a good job in achieving this, as the chair is exceptionally pleasing on the eye.